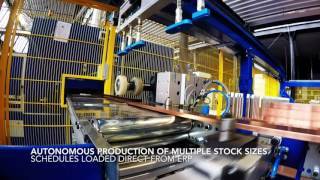 Check out the following video to learn how one of our customers maximized production productivity with an automated storage system. Automation is a powerful way to increase efficiency in today’s competitive business environment, and our engineers are available to help with a variety of custom automated solutions for bus bar production. Check out the video below and contact us today to learn more.